Our results speak for themselves. Surveys and testimonials agree – Art & Creativity for Healing makes a positive difference! Our observations suggest that youth often adopt ineffective ways to cope with their stress and anxiety. Through this Special Report, we will exhibit how art can help young adults manage their stress, learn healthier emotions, and improve academic performance. Read this informative Special Report now! We’ve collected information from a variety of sources, and the results are overwhelming: exposure to visual art and participation in creative activities creates positive brain changes. View a quick summary of our impact on the community in 2018! 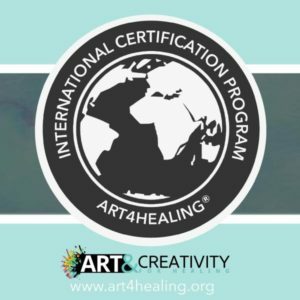 “My nine year old son and I were very fortunate to discover Art4Healing classes while in a local domestic violence shelter due to suffering abuse. We looked forward to every class to release our feelings (“Expressing Feelings with Color”), to create our story in all its stages, and to reduce the anxiety and stress we were feeling. It helped to bring hope back into our lives and connect us with how God’s love for us. After we were on our own outside of the shelter my son’s counselor changed and he had a hard time opening up again about his feelings. Laurie graciously offered to scholarship me and my son for another “Expressing Feelings with Color” class.